Love Your Heart This February - EMS Safety Services, Inc.
February is Heart Month! While it’s easy to get caught up in showering others with love this month, let’s take some time to educate ourselves about heart disease and what we can do to take care of our hearts. 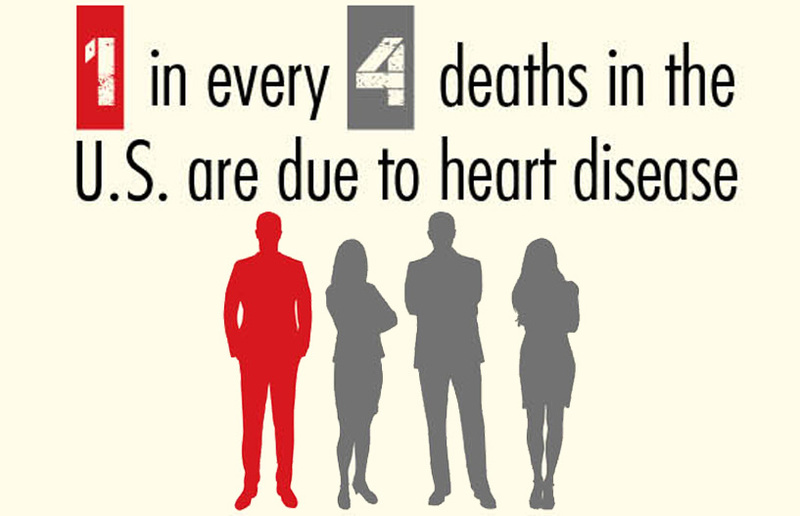 About 610,000 people die of heart disease in the U.S. every year – that’s 1 in every 4 deaths! Coronary disease (CHD) is the most common type of heart disease, killing over 370,000 people annually. Every year about 735,000 Americans have a heart attack. Of these, 525,000 are a first heart attack, with the other 210,000 happening in people who have already had a heart attack. A heart attack can lead to sudden cardiac arrest, but there are many other causes, including congenital abnormalities, severe heart failure, electrocution and drug overdose. 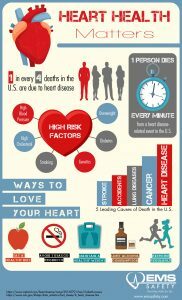 About half of all Americans have at least 1 of the 3 key risk factors for heart disease: high blood pressure, high cholesterol and smoking. Start by meeting with your healthcare provider to discuss risk factors and your family history. Your doctor should test your blood levels of cholesterol, blood pressure and blood sugar levels at regular intervals as determined appropriate. 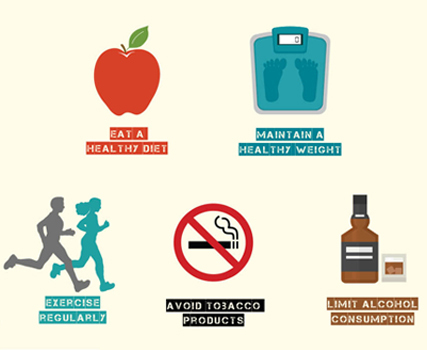 Follow your doctor’s recommendations for lifestyle changes, and always follow instructions carefully regarding medications. We encourage you to share this infographic with friends, family, co-workers and across your social media accounts.